The USPTA Florida Division U30 Project, an initiative by the United States Professional Tennis Association to build a new generation of under-30 tennis industry leaders, in January received a $5,000 partnership grant from the USTA Florida Section. The grant was awarded to support the U30 Project Team members' continuing education in 2014. "I'm absolutely thrilled with our new partnership with USTA Florida," said Jeremy Hakala, the U30 Project Team fundraising manager. "Thanks to great partners like USTA Florida and 10-S Supply, our young professionals will have opportunities for meaningful careers in tennis, opening doors that they might not have been able to go through before." One such continuing education opportunity will be USPTA Florida U30 Project Team members attending the 2014 USPTA Florida Division Convention & USTA Florida Semi-Annual Meeting, held jointly at Club Med, Port St. Lucie, Fla., in May. "The USPTA Florida U30 team's fundraising goal is to raise over $10,000 in order to provide up to 50 scholarships to attend the upcoming USPTA Florida Division Convention & USTA Florida Semi-Annual Meeting," said USTA Florida Director of Competitive Tennis, and USPTA Florida member Jason Gilbert. "This money will give young teaching professionals opportunities to participate in continued education venues such as USPTA state and national conventions, and regional education days." 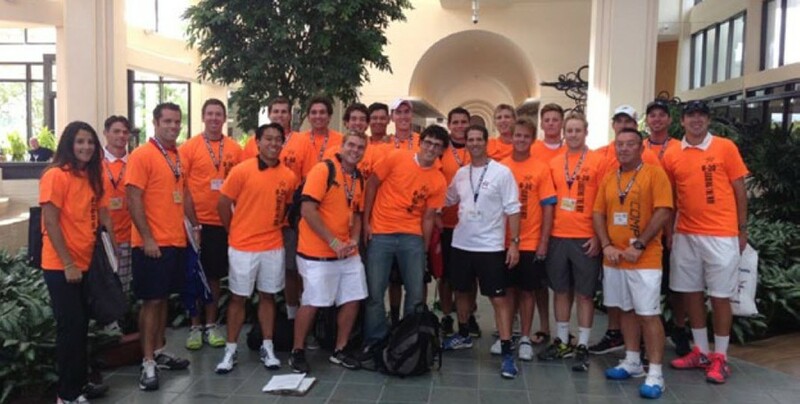 The USPTA Florida U30 Tennis Project has grown to more than 40 members by the end of 2013. For more information see the latest edition of the USPTA Florida Baselines newsletter at http://www.courtsideusa.com/media/cms-files/uspta​-florida-division/baselines/january-2014/January2014_web.pdf. USTA Florida in January announced junior tournament changes regarding tournament naming, tournament levels to align with USTA National tournaments, player selection processing, deadlines, rookie tournament changes, draw size changes and more. "We are excited by many of these changes as they will offer junior players more opportunities to play in Florida-sanctioned tournaments," says Ann Brown, USTA Florida Competitive Education Coordinator. "This is an exciting time to be a junior tournament player in Florida with many more opportunities." Tournaments will be referred to by level and not by name; i.e. no more "Super Series," but now "Level 6." We are aligning with USTA National tournaments starting with the national championship as Level 1. There will be a link on every tournament homepage to a chart showing the tournament levels and what is to be expected for each level. It will show the format of play, ranking list used for selection, maximum entry fee, how many officials are required, etc. The player selection will be processed within 48 hours after the deadline of all tournaments. There will be no refunds after the deadline of a tournament if the player is eligible to be selected. The deadline for the Level 3, 4, and 5 tournaments will be Sunday at midnight, 13 days from the tournament start day, instead of the Saturday deadline of 14 days. Level 8 (Rookie) has returned to the schedule, but there will NOT be any ranking points for ANY age division. 10-and-under orange ball will be offered in the Level 8 and Level 7 tournaments only. Level 6 (formerly Super Series) will no longer offer doubles, but instead will have a first match loser consolation. Level 6 will offer 10-and-under green dot ball. Level 5 (Designated) will have 64 draws in February and October, but no doubles. Level 5's in April, July, August, and November will have doubles included with a 32 draw for singles. Level 5 players will be limited to registering for only one age division, and the selection process will be done by the tournament directors and not the USTA Florida Section office. Levels 3, 4, and 5 tournaments will be using a feed-in consolation through the round of 16 or the 64 draw. 32 draws will use feed-in consolation through the quarterfinals. Level 4s in March and August will have a qualifier the weekend before the main event. Level 3 in January will have the same ranking points as the June Florida State Championship (USTA Florida Bobby Curtis Jr. State Championships) as far as point value from USTA Florida and USTA National. Level 3 in January will increase in draw size to a 64 draw for the 18s, 16s, and 14s. The 12s will remain at a 32 draw size. The complete list of tournaments for the months of January-June 2014 has been posted to TennisLink. The Level 3, 4, and 5 tournaments are listed for the entire year. Got questions? USTA Florida Competitive Education Coordinator Ann Brown has answers at brown@florida.usta.com. 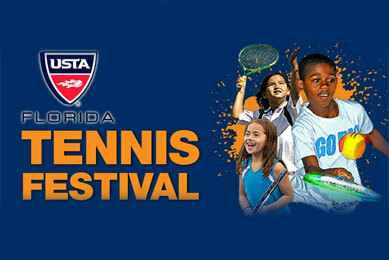 It will be Tennis for Everyone (Tenis para Todos) when JD Redd Park in Homestead, Fla., hosts the JD Redd Tenis Para Todos Festival on Feb. 22, 2014, from 11 a.m. to 2 p.m. The free event will feature games and prizes, on-court games and competitions for the whole family, and more. "Bring the whole family for a fun afternoon of tennis, games and prizes! Te esperamos!" says USTA Florida Tennis Program Coordinator Cathy Nordlund. See what everyone is talking about with 10 and Under Tennis for smaller children, and information on area junior tennis programs, after-school clinics, home school tennis, wheelchair tennis and special-needs tennis, and for adults we have round robins, league information, ladders, Cardio Tennis, mixed doubles, senior tennis and socials for all levels." The USTA 10 and Under Tennis format allows smaller children to emulate adult play on smaller court sizes, with racquet sizes that fit their hands, foam and low-compression balls, a simple scoring system, all adjusted to ease kids into the sport. Similar mini-tennis formats have long been popular in Europe, where stars such as Roger Federer and Kim Clijsters first learned the game with age-adjusted racquets, balls and court sizes. JD Redd Park is located at 550 N. Homestead Blvd., Homestead, Fla., 33030. To register for the event go to https://jdreddtennisfestival.eventbrite.com. The event is organized through USTA Florida and Friends of Miami Tennis, a 501c(3) not-for-profit community tennis association committed to enhancing the diverse Miami-area community through the healthy lifestyle of tennis. Friends of Miami Tennis, Inc. is a recognized Community Tennis Association (CTA) of the United States Tennis Association.